Brunswick Heads is a coastal fishing village characterised by beautiful beaches and sparkling waterways. 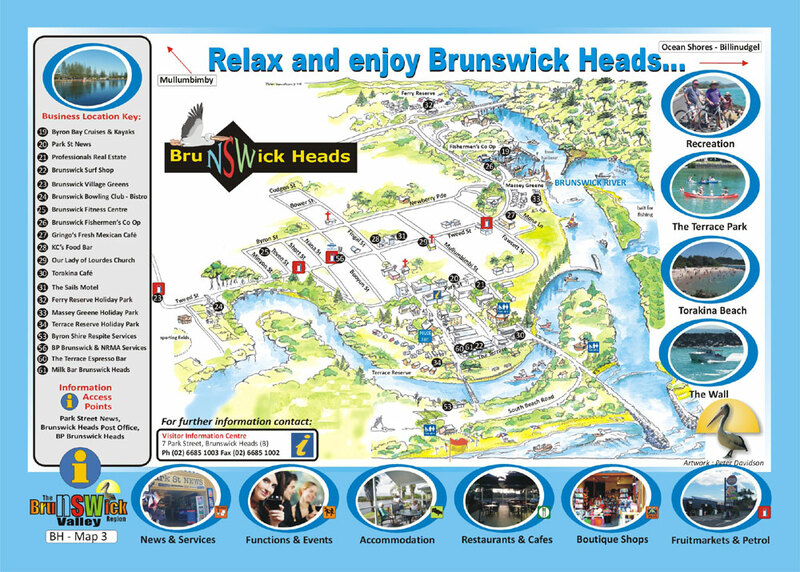 Situated at the mouth of the Brunswick River, Brunswick Heads has its own fishing fleet and boat harbour. The harbour is situated to the north of the town beside the Brunswick-Byron Fishermen’s Co-operative where fresh local seafood can be purchased daily. Locals and tourists enjoy water sports including surfing, swimming, charter fishing, snorkelling and boating. Extensive parklands in and around Brunswick Heads provide a relaxed atmosphere from which easy access is gained to the river and the town centre. 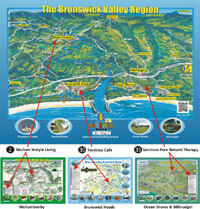 Brunswick Heads accommodation ranges from motel, hotel and apartments to the holiday park experience. The town centre has an abundance of excellent restaurants and cafes. Visitors enjoy a leisurely stroll around the town before choosing from a variety of alfresco and in-house dining venues where superb food and views of the river can be enjoyed. Local businesses provide excellent shopping experiences at specialist boutiques and surf shops. The Hotel Brunswick, provides live entertainment most days of the week throughout summer and the social clubs including the Brunswick Heads Bowling Club ensure dining, sporting and social activities are well catered for. for Brunswick Heads, Bayside Estate.